This is the final concert of the year. Although the show is traditionally attributed to Tokyo, Seibu Lions Stadium is in the suburb "Tokorozawa." Although the song would never be performed on stage, during soundcheck the band run Football Fight from the Flash Gordon soundtrack. They perform the full version of Teo Torriatte once again, but in the encore, which makes room for Save Me one last time. 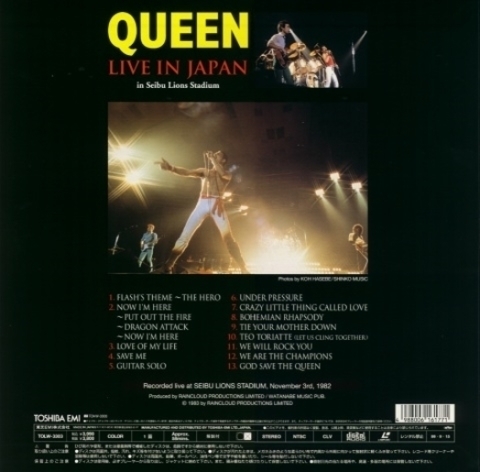 Queen's first live video was released in Japan in 1983 on VHS, simply entitled "Live In Japan", comprised of about an hour of material from this concert. 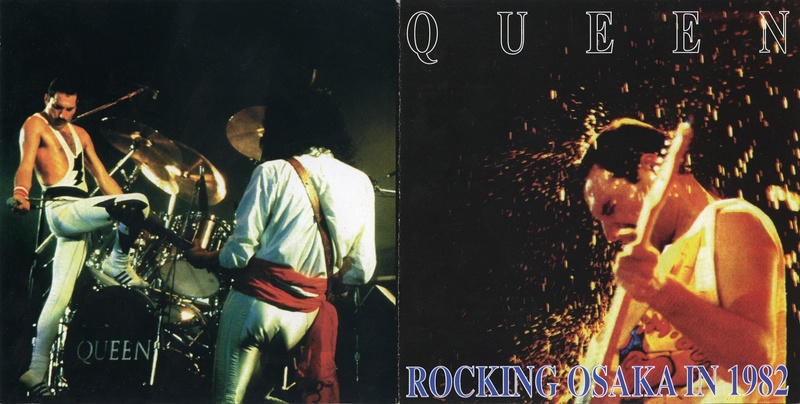 No songs were edited (except for Brian May's solo spot), and no overdubs were done. 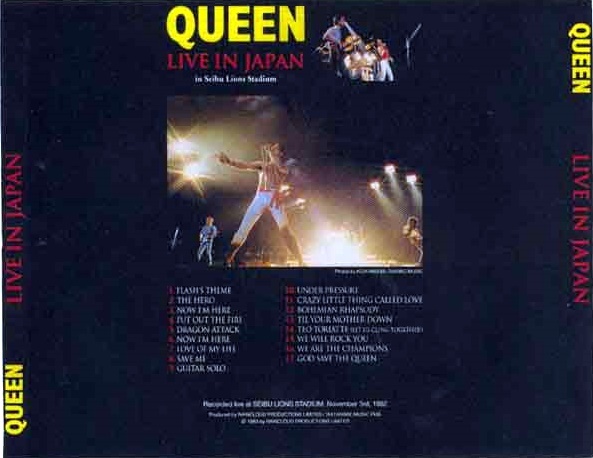 Besides standard mixing, the only alterations done were in Put Out The Fire, where a bit of Freddie's vocal improv at the beginning of the song was muted (he can be seen singing in the distant shot on the video), and in We Are The Champions, where Freddie's lead vocal was brought down in the mix to obscure a voice crack in the second chorus. 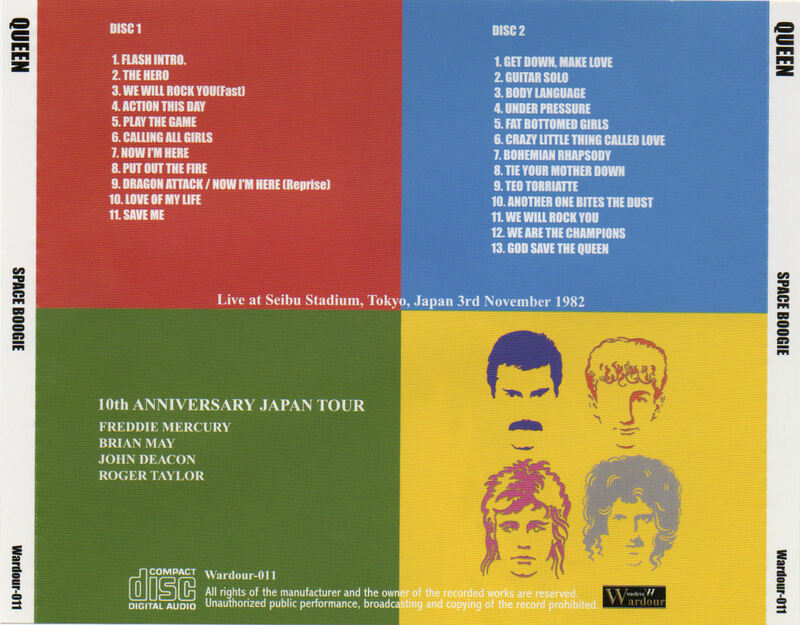 Brian's solo includes the only known footage of him playing the traditional Japanese song "Sakura." 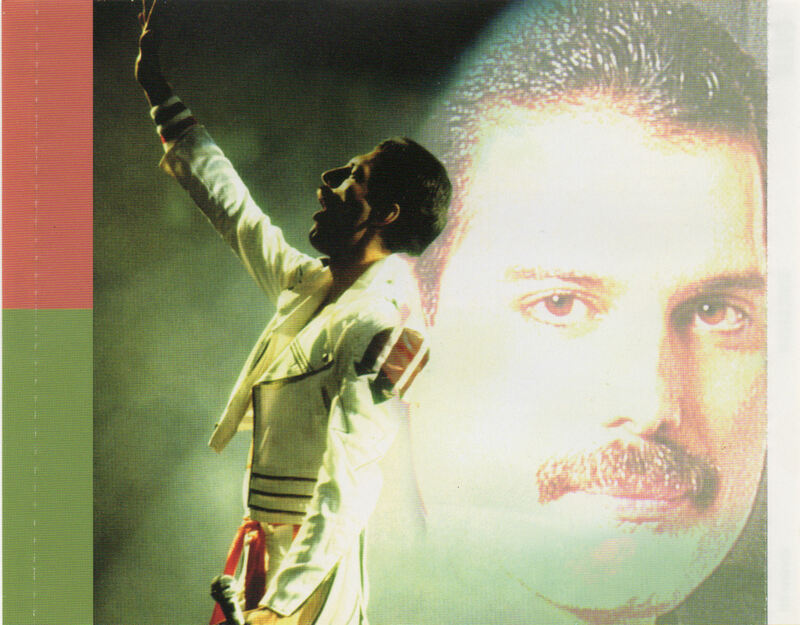 Freddie's voice, although still strong at many points, just couldn't remain stable for the entire evening after 7 months of touring. His voice cracks badly on the first line of Play The Game, and several times in Body Language. 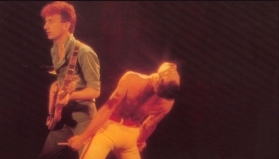 But there are plenty of great Freddie moments tonight as well, like his excellent ending of Action This Day, something which he never executed the same way twice. After an exhausting year of touring, there is no doubt that the band were looking forward to some time off. The tempos of many songs are very fast, and many nuances in songs like Save Me and Get Down Make Love aren't there like they were on previous tours. Still, the band are clearly having fun on stage at many points during this last show (as seen on the video), particularly during Crazy Little Thing Called Love. Freddie even stops playing his guitar for a couple bars to have a quick swig of beer. It is perhaps the definitive version of the song, with a long jam at the end, prominently highlighting Fred Mandel on the piano. This would be Mandel's last show with the band. He would go on to play with artists like Supertramp and Sir Elton John, one of his idols. The band jam for a while in the middle section of Another One Bites The Dust. 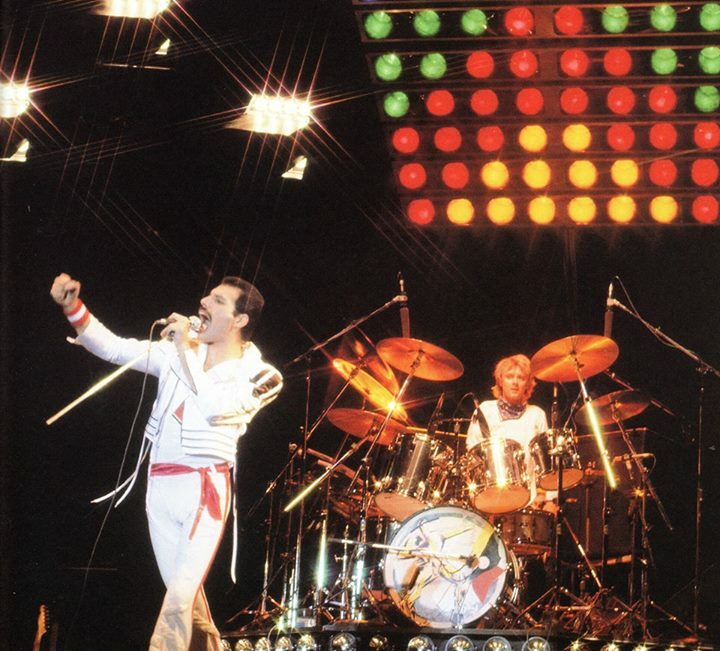 Freddie queues the snare fill to bring them into the breakdown thus: "I'm ready for you, Rog." 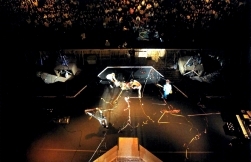 Bearing in mind that this was an outdoor stadium show, it must have been a cold November night in central Japan, as their breath can often be seen on the video. Instruments managed to stay in tune. 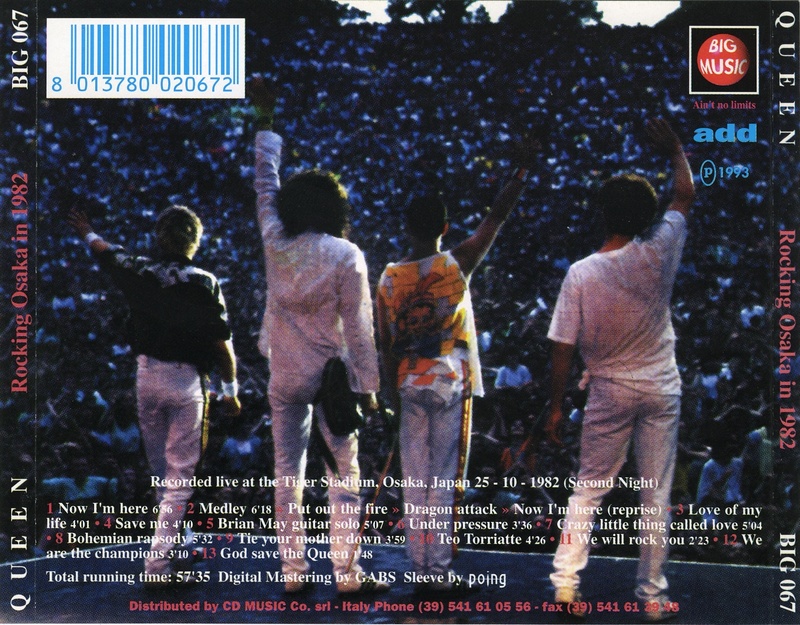 The audio of the great version of Calling All Girls from this show can be heard on disc 2 of the Live At The Bowl DVD as the picture gallery is shown. 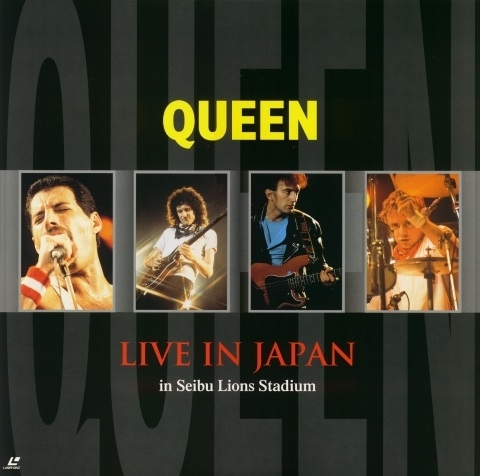 It was also released a bonus track (with a bit of compression added) on the 2011 remaster of Hot Space, along with Action This Day from this show (also included on this track is Freddie's vocal exchange with the audience, which actually happened after Play The Game). 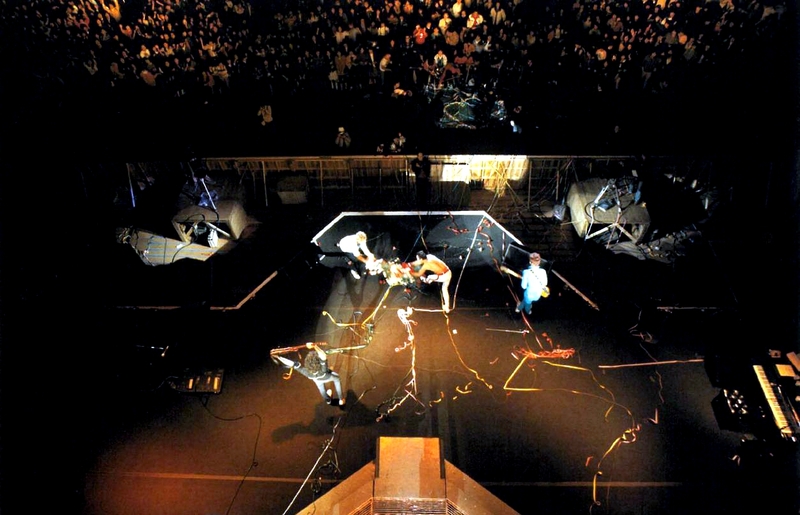 The fast version of We Will Rock You was also released as a bonus track on the 2011 News Of The World remaster. All but five tracks from this show have now been officially released in one form or another. 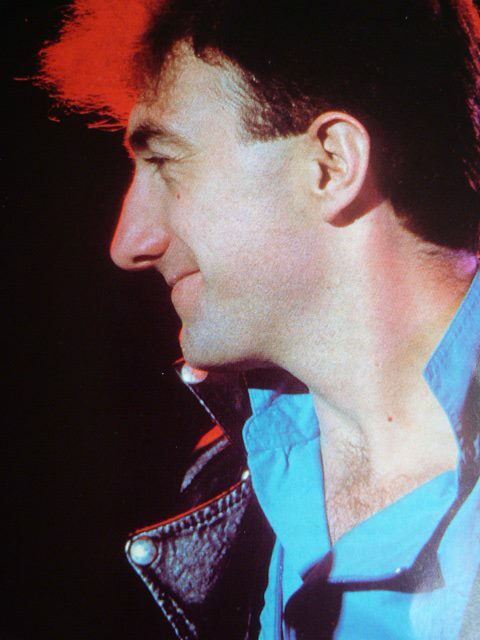 The pictures were snapped by Peter "Ratty" Hince, the head of the Queen crew. 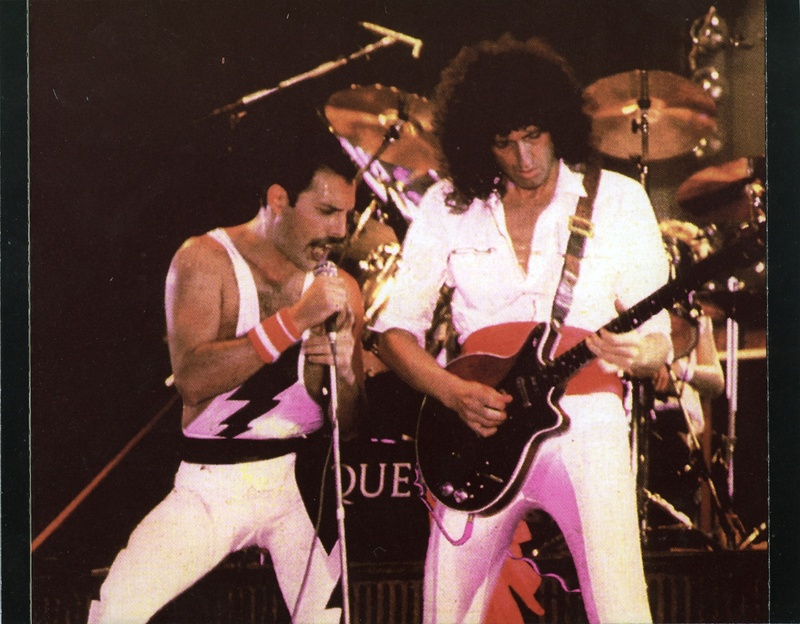 Tonight would be Queen's final performances of The Hero, the fast We Will Rock You, Action This Day, Play The Game, Calling All Girls, Put Out The Fire, Save Me, Get Down Make Love, Body Language, Fat Bottomed Girls, and Teo Torriatte. They wouldn't play another concert for over 20 months. 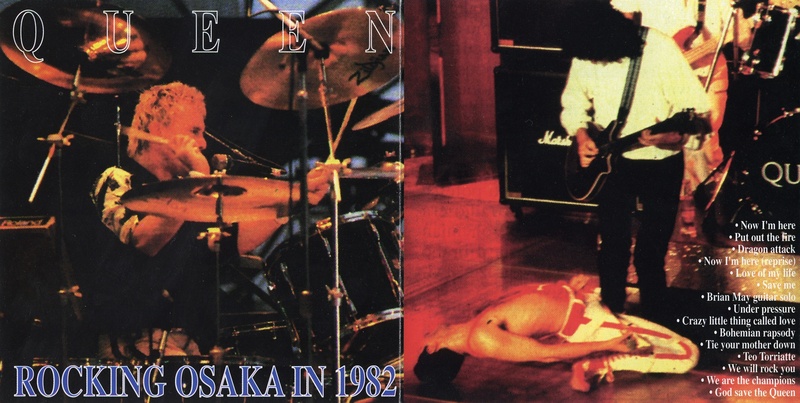 This 1993 bootleg is a rip of the official "Live In Japan" VHS, minus Flash and The Hero. Labeled on the back cover as October 25, 1982 (actually a day off for the band), the bootleggers wanted to pass this off as a new show. Sometimes this turns up on eBay with the inside scan as the front cover, but it is the same bootleg, just with the cover flipped. This is a Russian bootleg laserdisc - a straight copy of the official Japanese one. So I guess we can call this one a pirate. This is a clear but very distant recording. The audience chatter and singing often drowns out the music. The best part of this recording may well be the fellow in the right channel pretending to be Freddie Mercury throughout the show. That alone provides adequate entertainment for a couple hours. This second audience source released by Wardour in 2005 sounds much better. But like the above audience source (and like most outdoor recordings), it is kind of dry-sounding. Although it appears to look lossy upon spectral analysis, it's almost surely another case of the master having been transferred onto a DAT tape with a 32 KHz sampling rate (which is below CD quality, 44.1 KHz). This is a third audience source. While the sound is quite good, it is a bit distorted.